MainAll NewsForeign AffairsWill US recognize Israeli sovereignty over Golan Heights? Congress set to consider proposal to recognize Israeli sovereignty over Golan Heights, ending decades of refusal to accept 1981 annexation. The US may for the first time recognize Israeli sovereignty over an area secured by Israel during the 1967 Six Day War, ending a 51-year precedent of refusal to officially acknowledge Israeli sovereignty over areas which came under Israeli control after 1949. A new proposal brought before the House of Representatives by Florida Republican and House Foreign Affairs Committee member Ron DeSantis would recognize Israeli sovereignty over the Golan Heights, which Israel secured from Syria in 1967. 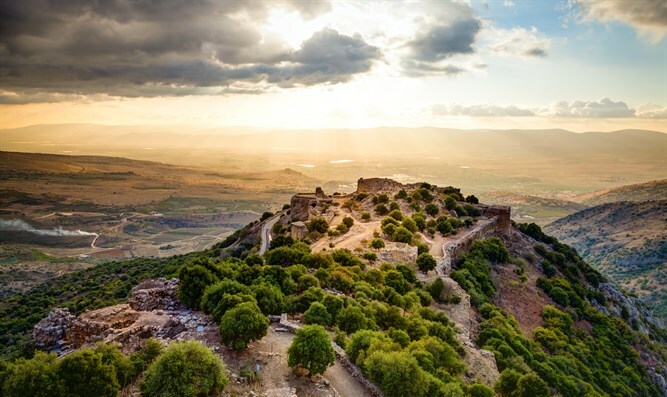 According to a report by the Washington Free Beacon Thursday, the proposal describes the Golan Heights as an “integral part” of Israel, and recognizes that it is “crucial” for Israel to retain the strategically important area overlooking the Sea of Galilee. "It is the sense of the Congress that the Golan Heights represent an integral part of the state of Israel and are crucial to the ability of Israel to safeguard its borders and maintain its existence," the proposal reads in part. The draft drawn up by DeSantis also cites the ongoing Syrian civil war and Iran’s use of Syria as a forward base for attacks on Israel as justification for recognizing Israeli sovereignty over the Golan. "Given the civil war in Syria and the expansion of Iranian influence in Syria, the United States should recognize Israeli sovereignty over the Golan Heights." Israel extended its sovereignty over the Golan Heights in 1981 under Prime Minister Begin, a move which was not recognized by the US or other world powers. While the US has in the past called on Israel to cede the 500 square miles of territory in the Golan it has held since a series of agreements with Syria following the 1973 Yom Kippur War established a buffer zone between the two countries, since destabilization of the Assad regime during the civil war, calls for Syrian control over the area have been muted. The strategically important area was used by Syrian forces to snipe at Israeli farmers in the Galilee area from 1949 to 1967, prompting Israel to target the Heights when war broke out with Syria in June 1967. Successive Israeli governments have claimed the Golan Heights are essential to maintaining security in northern Israel. Since 1967, roughly 20,000 Israelis have moved to the Golan Heights, where 20,000 members of the Druze community also reside. The measure proposed by Rep. DeSantis has been given to the Republican-dominated House Rules Committee, which must decide whether to advance or quash the bill. The committee is headed by Texas Congressman Pete Sessions, a long-time supporter of Israel, and includes 11 Republican lawmakers and 4 Democrats.